Upstate there are a plethora of event venues perfectly suited for barn weddings in New York. 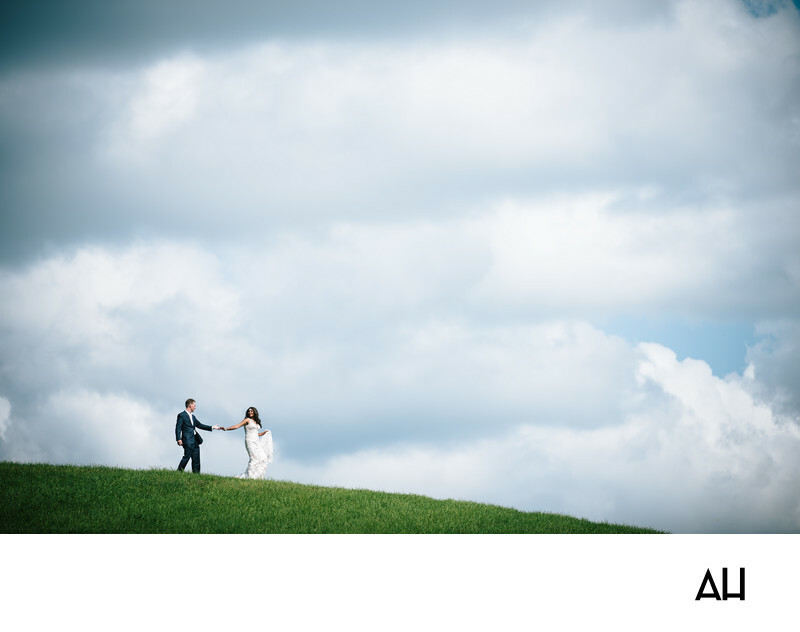 This photo is from the Gilbertsville Farmhouse – I just can’t get enough of these open skies. Weddings provide the perfect opportunity to gift your closet family and friends with a bit of a getaway. Take a break from the pace and noise of your daily life, and get out the land of big open skies. Barn weddings can pose a few extra challenges to be mindful of. Some farms have been operating as event venues for decades and have all of the kinks in the system worked out. Others are newer on the scene. Be sure to read their terms for details like on-site day-of staff, limits on when you can set up, curfews, parking, and restrooms. Rustic barns can be, well, rustic – so depending on which month your wedding is in, you should inquire about whether the space is climate controlled. When barn weddings are done well, there may be nothing that feels more celebratory in its simplicity. Café lights strung through rafters while shoes dance across wide-planked floors and music rings out over the surrounding fields. A perk of barn weddings is that they seem fitting for a wider variety of refreshments than just the standard beef and chicken. You can certainly stick with the classic staples, or branch out with fun meals like barbeque, a pig roast, make your own salads, or even more fun, make your own sundaes. Some brides shy away from barn weddings because they equate them with the ultra-rustic trend that rolled through a few years ago. But there are plenty of ways to create a modern or elegant wedding theme with most barn venues. In fact, some have already been modernized and updated with more smooth, sleek finishes. No doubt about it, barn weddings in New York are here to stay.